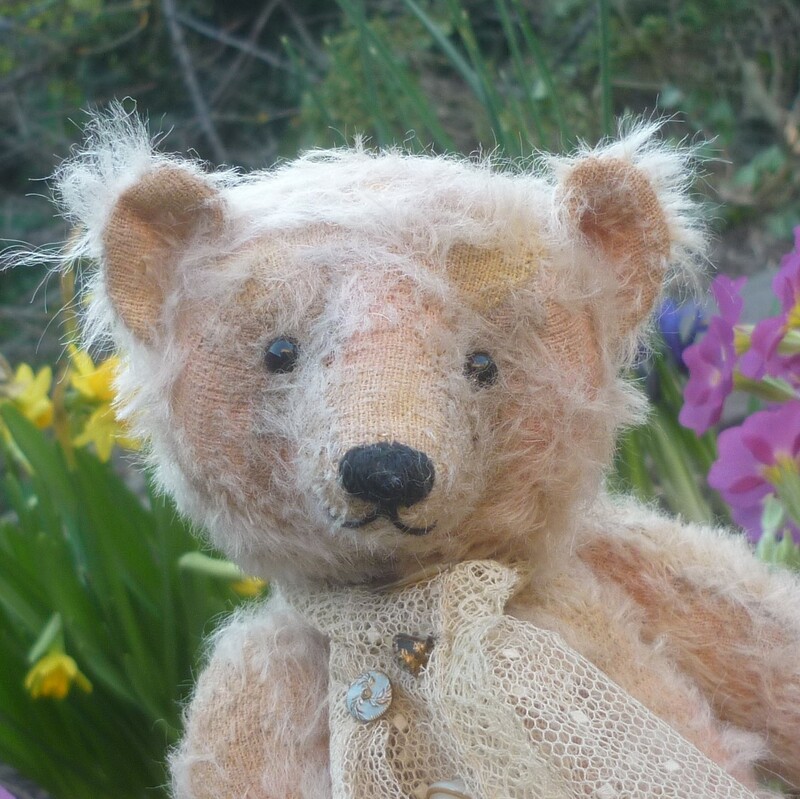 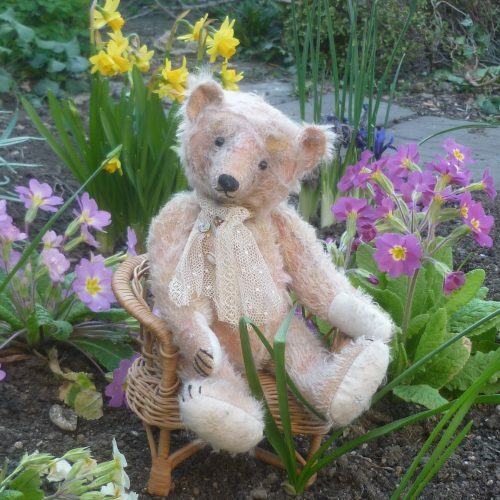 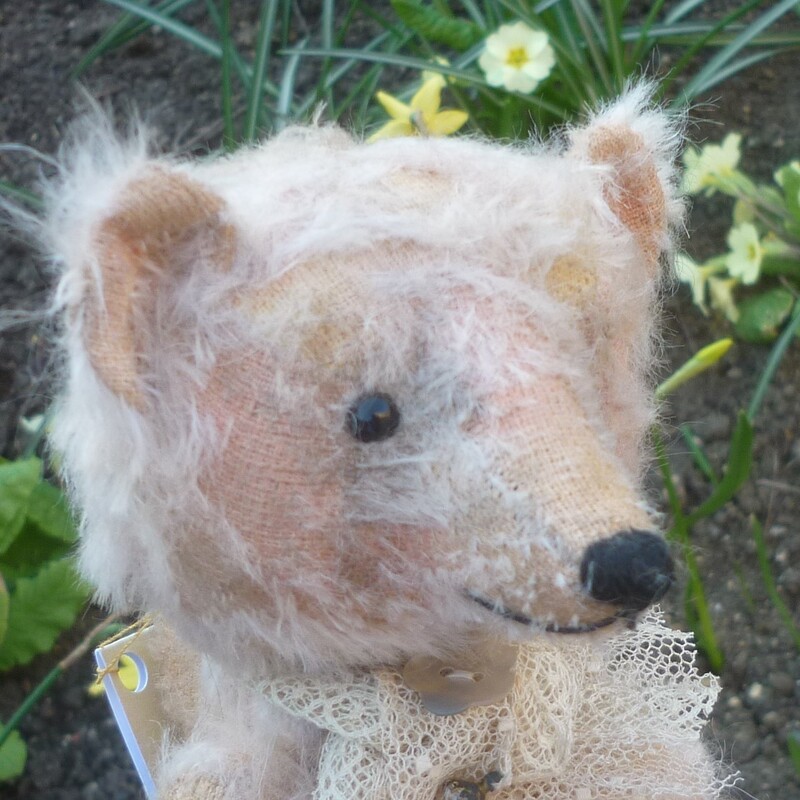 This medium-sized, classic bear, by Joy, is made of aged and hand-plucked, ultra-sparse, apricot mohair. 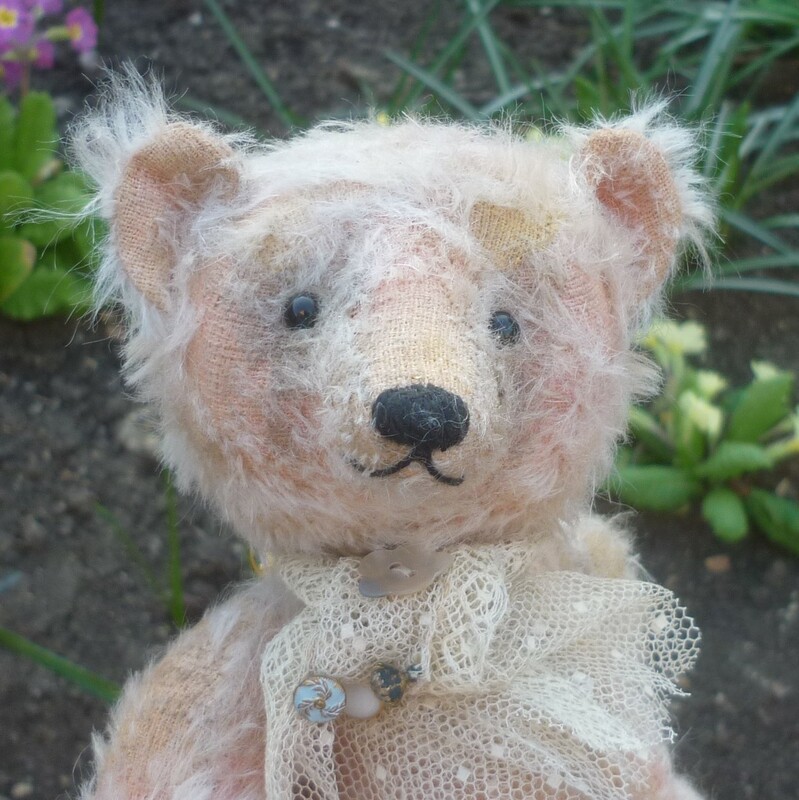 She has small black glass eyes and aged linen paw pads. 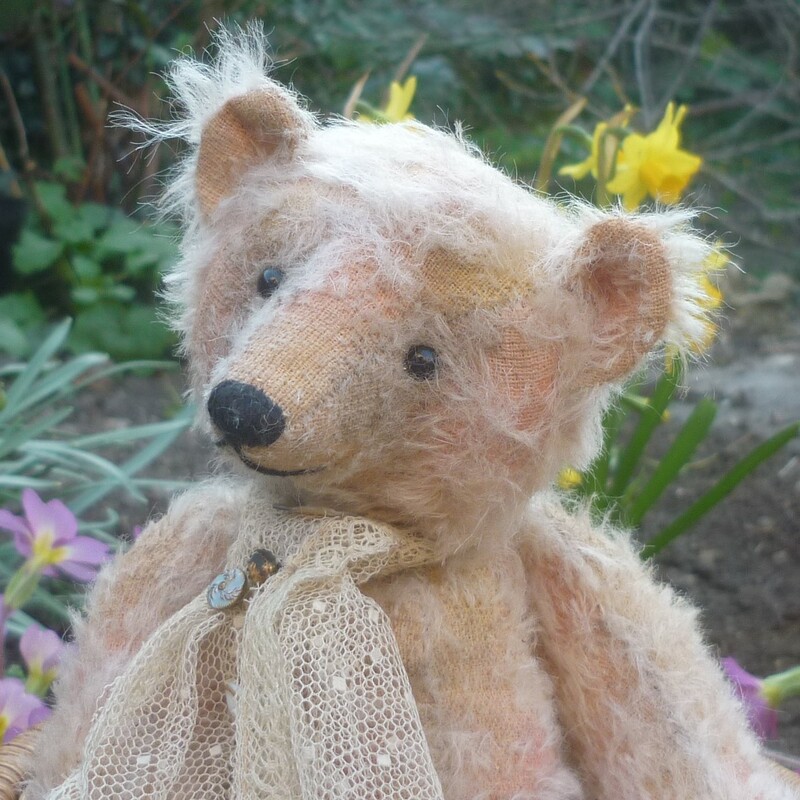 Softly filled with a mixture of wood shavings and mineral granules, Merry Dance wears an antique lace scarf fastened with three vintage buttons.